Iranian President Hassan Rouhani said today the United States had nothing to show for its appearance at the U.N. General Assembly this week, as Reuters reports. And, as Reuters’ John Irish and Arshad Mohammed report Israeli Prime Minister Benjamin Netanyahu today accused Iran of hiding nuclear-related material at a warehouse in Tehran, which he said proved it had not abandoned its nuclear weapons program. Dive Deeper: “In Search of an Iran Strategy,” by CSIS’s Jon Alterman. Secretary of State Mike Pompeo said today that the world is at “the dawn of a new day” in confronting the threat posed by North Korea’s weapons programs but that sanctions against the country must continue for now, as the New York Times’ Gardiner Harris reports. But, as the Wall Street Journal’s Jessica Donati reports Russian Foreign Minister Sergei Lavrov called for the United Nations to ease sanctions on North Korea as a reward for progress on nuclear talks, clashing with the U.S. and its allies during a meeting of the U.N. Security Council. Dive Deeper: “The Pyongyang Declaration: Implications for U.S.-ROK Coordination on North Korea,” by CFR’s Scott Snyder. 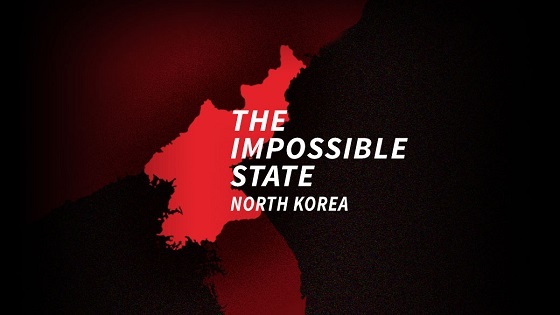 “The Impossible State” podcast with CSIS’s Victor Cha and USC’s David Kang. House lawmakers on Wednesday overwhelmingly passed a $674 billion defense appropriations measure that President Donald Trump has promised to sign, ending any last-minute drama about a possible government shutdown, as Military Times’ Leo Shane and Joe Gould report. “FY 2018 Endgame: Assessing the State of Defense,” by CSIS’s Kathleen Hicks. “FY 2018 Endgame: Show Me the Money: Assessing the Fiscal Reality of the National Defense Strategy’s Ambitions,” by CSIS’s Seamus Daniels. DoD’s first-ever Chief Management Officer, Jay Gibson, projected that the department would save $6 billion in FY 2019 by eliminating waste and adopting more efficient business practices. Source: “Show Me the Money: Assessing the Fiscal Reality of the National Defense Strategy’s Ambition s,” by CSIS’s Seamus Daniels. "What’s important is that today, other than one or two countries, no one is supporting America. It’s a historic political isolation that is rare for America." 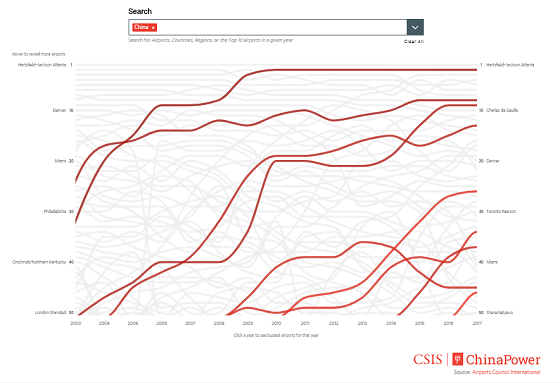 CSIS's ChinaPower Project has launched a new interactive feature on China's commercial aviation and the impact on China's economic development. Check out the new feature here. (Photo credit: Don Emmert/AFP). 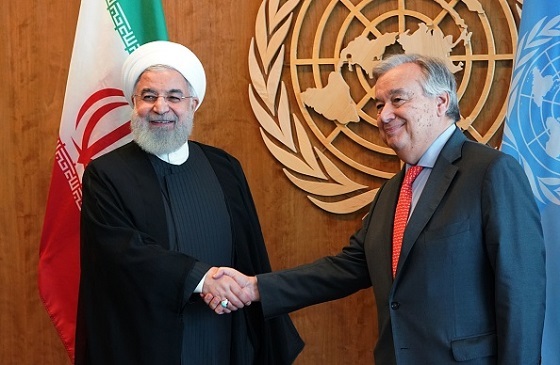 Iranian President Hassan Rouhani meets with UN Secretary General Antonio Guterres in New York. “Beyond the Water’s Edge: Measuring the Internationalism of Congress,” by CSIS's Kathleen Hicks, Louis Lauter and Colin McElhinny. At 9:00 a.m., the Wilson Center will hold a seminar on regional integration in Latin America and the Caribbean. Later, at 11:30 a.m., The Hudson Institute will host former Navy Secretary John Lehman for a discussion of his book “Oceans Ventured: Winning the Cold War at Sea” and the importance of naval strategy during the Cold War. And at 3:30 p.m. join the Wilson Center again for a conversation with H.E. Julius Maada Bio, President of the Republic of Sierra Leone, on the future of his country. The issue of cyberwarfare has been at the forefront of American politics since the attack on the 2016 General Election. Today at CSIS, Bob Schieffer sat down with The Perfect Weapon: War, Sabotage, and Fear in the Cyber Age author David Sanger to explore the evolution of cyberwarfare and its effect on international security and American policy over the past few decades. Watch the full discussion here. North Korea is the Impossible State. On the latest episode, David Kang, director of the Korean Studies Institute at the University of Southern California, joins CSIS’s Victor Cha again by phone to discuss the latest Inter-Korean summit, what this means for denuclearization, and what to expect from a potential 2nd Trump-Kim summit. One more from Eric Clapton and Steve Winwood.